Democratic Gubernatorial candidate Stacey Abrams addresses supporters at an election watch party on November 6, 2018 in Atlanta, Georgia. It was only one of many powerful points made by former Georgia gubernatorial candidate Stacey Abrams in the Democrats’ response to Trump’s State of the Union on Tuesday night. 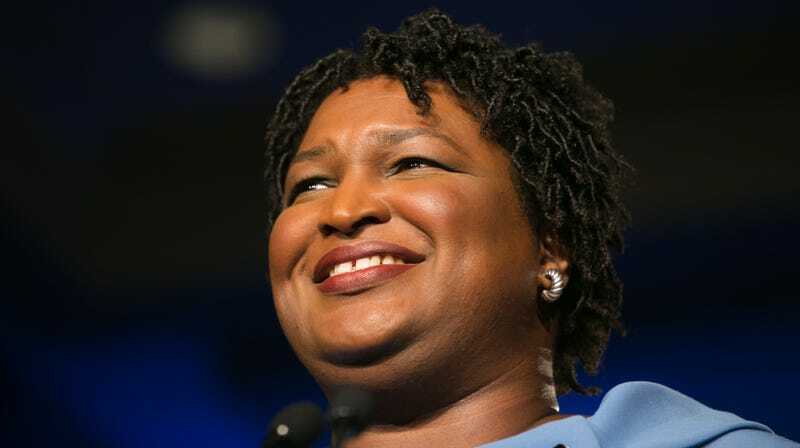 But for The Black Mamas Matter Alliance, Abrams’ reference to the terrifying statistics currently facing black expectant and delivering mothers was a profound acknowledgment of the ongoing fight to ensure the safety of black mothers everywhere. The Black Mamas Matter Alliance applauds Stacey Abrams for including Black maternal health and reproductive justice in her post-State of the Union speech last night. Across the country, Black mothers are subject to maternal health challenges at alarmingly high rates, and Black women overall suffer disproportionately from a lack of access to quality reproductive care. The acknowledgement of this national crisis by our state and federal policymakers is a critical step towards closing the racial health gap facing Black women, children and birthing persons. BMMA urges more political leaders to join us as we work to improve maternal health outcomes for all Black mamas. As we’ve previously reported on The Glow Up, both maternal and infant mortality rates are disturbingly high in the black community—particularly in America, which currently has the highest rate of deaths related to pregnancy and childbirth in the developed world among mothers of all races. For black mothers, this danger can be exacerbated by lack of access to resources, as well as the frequent dismissal and diminishment of black women’s health concerns. Abrams’ decision to include this vital issue in her speech reminded listeners that black women are America too, and wholly deserving of equal care and concern as we work to build healthy families and lives.